Exceptional parenting through school lunches...is it possible? With the start of a new school year, I've resolved to show my children's teachers that I'm a really good parent. After all, I've already gotten two warning notes sent home for dressing my daughter in a dress on dance class day and allowing her to bring a toy to school which resulted in a disruption during circle time. 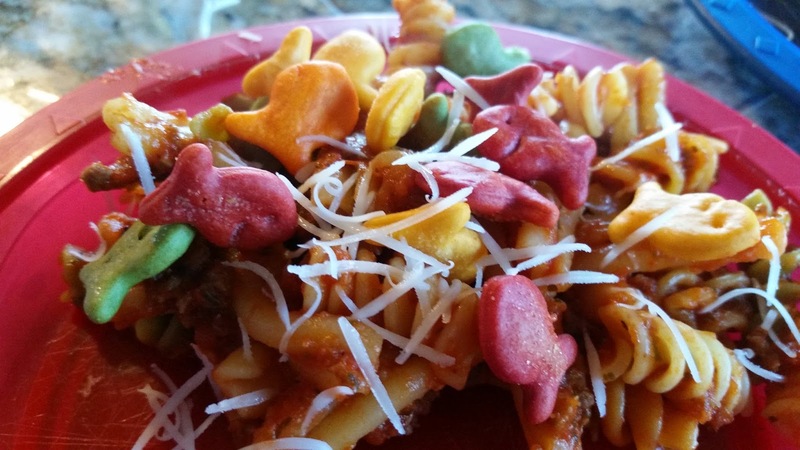 Since I've failed these areas, the only other way to show I'm an exceptional parent is through my children's lunches. So, I've been making everything from fresh ingredients. Spaghetti with tomatoes from our garden, sandwiches with freshly chopped vegetables and whole grain breads, fresh fruit, veggie snacks and nothing with extra salt. Not only is this preparation of lunches exhausting and unsustainable for an entire school year, it's flat out illogical to believe that my children will actually eat everything I include in these lunches. My children like salt. They like sweets. They like fats. If it's unhealthy, it's their favorite. So, what's a parent to do? On one hand, there's a national effort to increase the quality of school lunches, but on the other hand, my children won't eat it. I've tried cutting sandwiches into adorable shapes of dolphins, hearts, stars, penguins, and more. We've renamed foods to encourage eating like penguins or dinosaurs who love fish sandwiches and broccoli trees. I've even bought adorable lunch boxes. It doesn't work. My kids eat what they want to eat. But, that's not always bad. I control the amount of sugar and salt that my kids get on a daily basis. Over the period of a week, the majority of food that they consume is healthy. But, I also know that there are days where they need to eat something unhealthy if I want them to eat anything at all. So, I give them goldfish, chips, cookies, juice and more. After all, I grew up eating these things and have managed to maintain a healthy weight and lifestyle for over thirty years, so how bad can they be? I teach my kids to have an active lifestyle. We park at the far end of parking lots and skip to store doors. We go on "explorations" after dinner which take us on up to a mile walk through a local greenspace. We jump, we hop, we crawl, we laugh, we run, ride bikes, climb and more. We don't spend a lot of time watching TV (although it is a necessary part of keeping my own sanity - how else does any mom get a shower?). We look at the whole picture of healthy living - the true definition of a holistic lifestyle. But, in the meantime, I'm stuck making lunches which will be examined by my children's schools and teachers. I'll attempt to keep them healthy, but please do not judge my child's health by what's in the lunchbox. Or, if you do, recognize that the attempt at health was there, even if there are added "incentives" to get my kids to eat. I posted something about this on my Facebook recently. I have been substitute teaching. While I was working in an all-day kindergarten class, another teacher gestured towards one child and said, "There is a piece of C-H-O-C-O-L-A-T-E in her lunch box. We need to take that. We do not eat those kinds of treats in school." I was surprised, and was asking my Facebook buddies who were parents, if it was now normal for schools to monitor kids' lunch boxes. Several said yes. One friend's daughter was forced to throw away her "fruit leather" because the teacher didn't think it was healthy enough. I feel like, what parents feed their children is their own business! If the child is coming to school visibly malnourished, or if they are extremely unhealthy due to eating nothing but McDonalds, then maybe the school nurse can get involved. Otherwise... no small child ever died from a little sugar in their lunch!